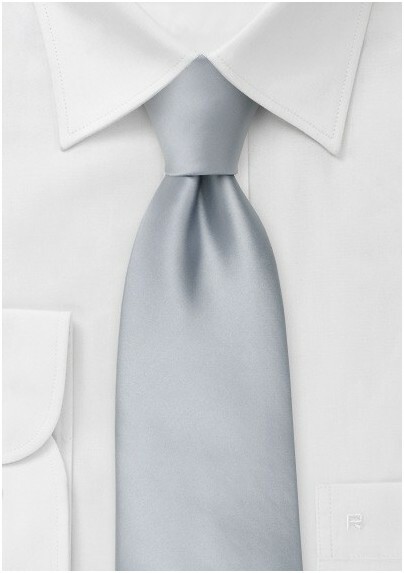 If the solid black tie is too plain and "uniform" looking, then this elegant silver necktie by Puccini will be a perfect alternative for your next formal gathering. It looks best with classic dark and formal suits in charcoal, gray, black, and midnight blue. 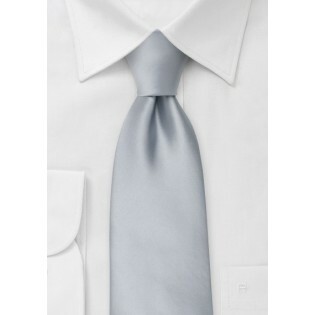 This tie by Puccini has a modern, slightly narrower, cut of 3.25 inches. It is a perfect choice for the man seeking a modern European look that is trendy but not overly flashy. Made from stain resilient microfiber.